Advantage Arts Academy (AAA) is a tuition-free public charter school opening August 2020 in Herriman, Utah. Our rigorous curriculum is paired with arts integration to provide an enriched classroom focused on academics and creativity. Advantage Arts Academy is the only elementary school in Utah that will use the Beverley Taylor Sorenson Arts Learning Program (BTSALP) model as a focus and not as a supplemental add-on program. By aligning the BTSALP model components, such as the instructional model, arts integration is incorporated in all core curriculum courses. The mission of Advantage Arts Academy (AAA), in alignment with the Beverley Taylor Sorenson Arts Learning Program, is to effectively increase our students’ performance in every subject, as well as improve students’ core academic capacity, emotional well-being, arts awareness, and social skills. Supports AAA’s mission and model. Curriculum for the core subjects will be selected from already developed sources, such as textbooks, leveled reading libraries, and digital curriculum. 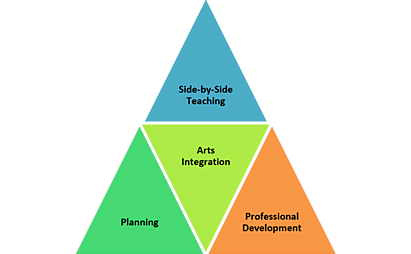 Arts integration lessons that support and deliver the core subject standards will be developed in conjunction with the Arts Integration Specialists from open resources such as Art Works for Kids, and ArtsEdge Kennedy Center, and other online resources. These developed lessons will be delivered in conjunction with the core curriculum instructional materials. AAA will promote student character education to reaffirm values and qualities of character which promote an upright and desirable citizenry. The civic education will help cultivate informed students, encourage responsible participation in political life, and promote the fundamental values and principles of representative democracy in Utah and the United States. It is acceptable for an elementary school student to choose not to participate in the Pledge of Allegiance for religious or other reasons and students should show respect for individuals who participate and who choose not to participate. Exemptions to civic education are outlined under Utah Rule.